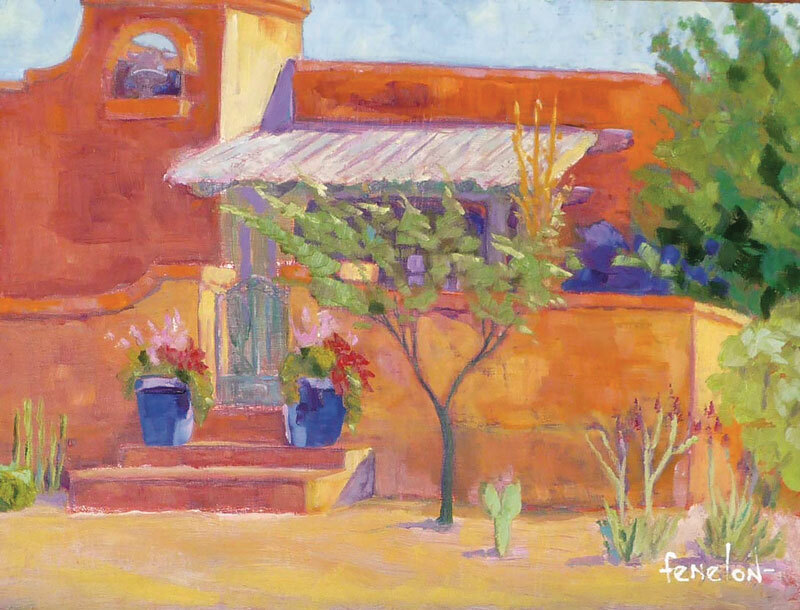 It is her wonderful use of color that strikes the viewer in Denyse’s oil paintings of Tucson’s historic architecture and the surrounding desert. 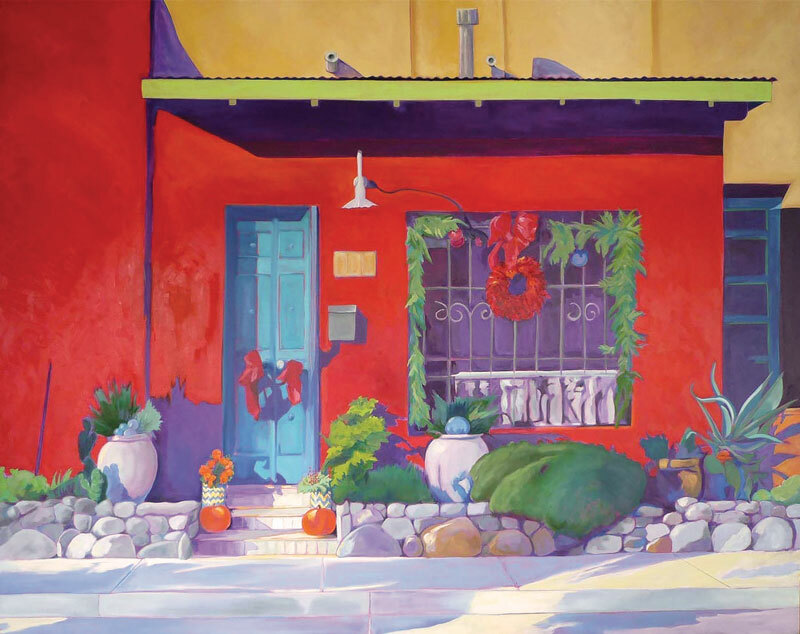 Unlike plein air artists who concentrate primarily on views of the desert, Denyse’s focus is on the homes and doorways in Tucson’s traditional neighborhoods, and in the downtown Tucson Barrio. Her dramatic use of color produces patterns of bright purple shadows and mountains that glow orange in the sunset. The pattern and interplay between light and shadows is something that interests her most. 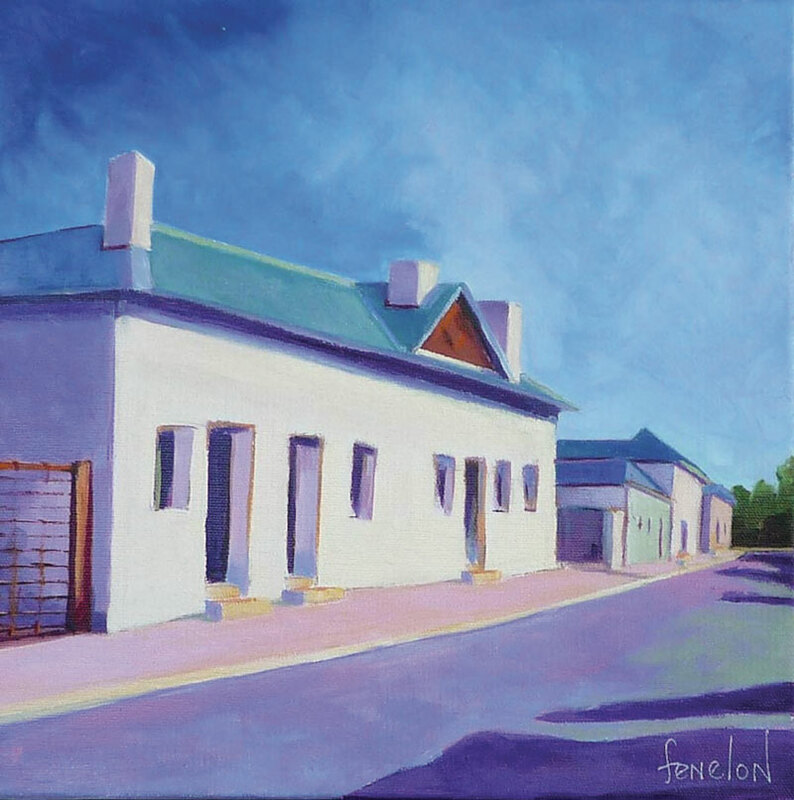 Her unique style gives viewers a fresh new look at scenery and buildings that might otherwise seem ordinary. 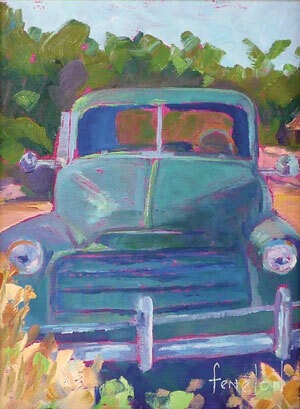 Since early childhood, Denyse has been interested in most aspects of the Arts. She started with dancing, and became an Art Major in college, moving from theater arts to painting and printmaking. 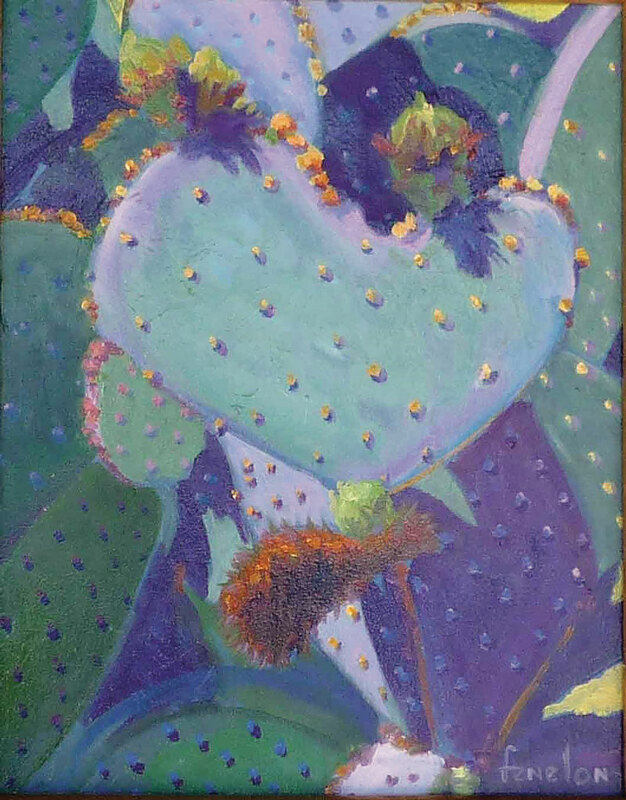 Her college career produced teaching certification, and Denyse taught high school art classes while continuing to pursue her personal art journey. 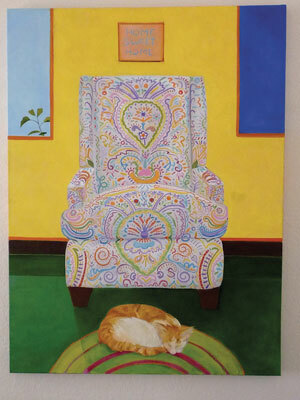 After a brief foray into the corporate world and then into selling real estate she started painting seriously and has been at this delightful endeavor since moving to Tucson 15 years ago. Denyse has experimented with many forms of art, including printmaking, clay, sculpture, collage, calligraphy, costuming, and painting theater scenery. She has used her artistic skills well over the years, staging houses for sale as well as faux painting on the walls of her own home. Although she has achieved success working with many types of mediums, she now enjoys oil painting as her primary and favorite form of art. It is the challenge of catching the constantly changing light and how it affects the colors that intrigues her most when painting outdoor scenes.